Passionate about Hair Extensions? Check out our Fast Track Hair Extensions Course. Whether you’re a fully trained hairdresser or a newcomer to this amazing industry, this bespoke course is just for you! Let us empower you with the technical skills and essential knowledge to meet your client demands and increase your earning potential. You’ll be trained by our highly skilled and qualified tutor in the most luxurious of settings where you can take learning to another level of expertise and creativity. 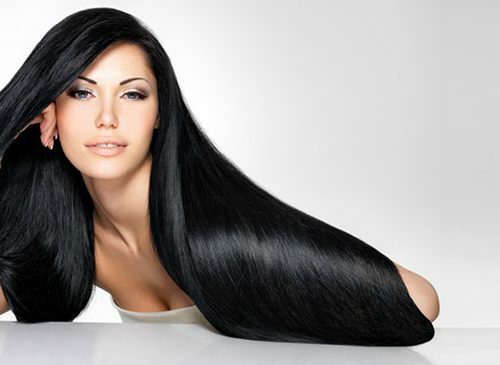 Chillout Beauty Training provides exceptional hair extension courses in Liverpool. Create the hairstyle your client has always dreamed of. Choose the most appropriate method for your client’s individual needs. Every woman is different and so we teach you different hair extension techniques and show you how to give your client added volume, cutting, blending, length and colour. 3 x Methods of Micro Link Weft; You will be taught how to secure hair wefts properly and stylishly. Sew – in Weft; One of the most popular hair attachment methods which involve sewing wefts of hair into a braided base. There aren’t any formal academic requirements for the course, however, it is important that you have certain traits and skills. It’s ideal if you have good dexterity, and great communication skills to ensure that you can effectively consult with your clients. It’s a bonus if you can braid hair, but your tutor will provide you with support in this area. After successfully training in the art of applying hair extensions, you will gain a certification from the Chill Out Beauty Training Academy. Tutor deliver the course at a really good pace, course was varied and interesting . Tutor really helpful, lots of time for you, small classes, great/plenty of equipment and loads of information given throughout course. The variety of techniques you learn is outstanding and Michelle is fab! Very informative, Michelle broke it down so it’s easily understandable. It was relaxed and fun, I would highly recommend it. I enjoyed it all. It was a really good course. Being shown the different methods of application. Michelle has been lovely. Easily broken down so it’s easy to understand. Easy to follow instructions. Felt really comfortable in the class and with Michelle. All the different techniques shown. Very good content. The tutor was great and broke things down to make it simple to follow. Loved the course. I liked learning all the different methods and widening my knowledge. How we all had a one to one in a small class. It was brilliant! Tutor knowledge – Demos and practical, learnt far more than expected. Tutor was patient and didn’t mind going through any aspects which I didn’t quite understand. Loved the assessment. 15 minutes to put in a weave – fantastic!